ST. PETERSBURG, Russia (AP) — Jamie Vardy has missed most of England's training session and appears unlikely to be fit for the World Cup quarterfinal against Sweden on Saturday. 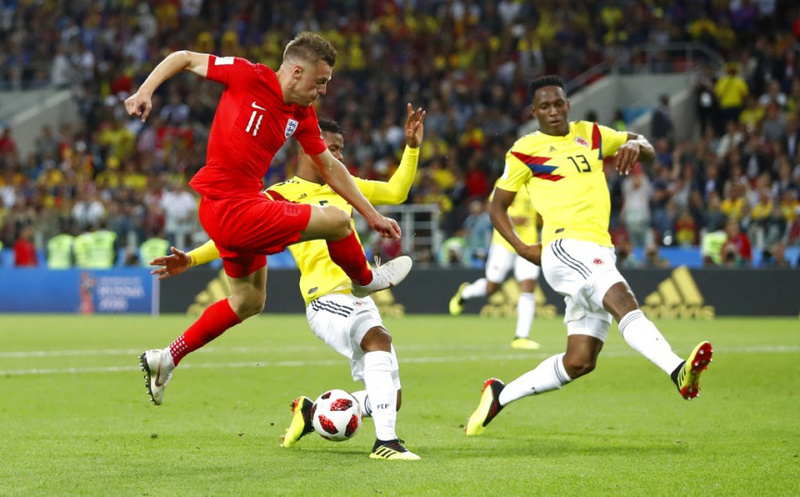 The Leicester striker suffered a groin injury after coming on as a substitute in the 88th minute of England's penalty shootout victory over Colombia in the round of 16 on Tuesday. He warmed up with the squad early Friday at its base outside St. Petersburg, but did not take part in the rest of the session. With captain Harry Kane, the World Cup's top scorer with six goals, leading England's forward line, Vardy has started only one match in Russia, against Belgium when coach Gareth Southgate made sweeping changes to his lineup including resting Kane.